This was my first time testing out a liquid prenatal, and I have to say, it doesn’t disappoint. 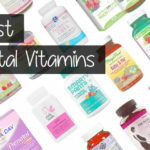 I ended up ranking Pink Stork Liquid Prenatal Vitamin 4.5 out of 5 stars, and I’ll tell you why. This drink has a lot going for it. It’s easy to take daily. All you need to do is take one tablespoon each morning. You can drink it by itself or mix it into your drink. I preferred mixing it in juice, as the taste is pretty strong on its own. It also leaves a bad metallic taste if you drink it by itself. This one has great ingredients in it; it’s only missing a few things I look for in prenatals. I have yet to find a prenatal vitamin that hits every mark I look for, but this one comes pretty close. The price is decent, especially for a high quality prenatal vitamin. So overall, I’m very impressed by this liquid prenatal! 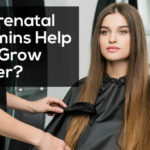 This prenatal is very easy to use. You need to drink 1 tablespoon per day in the morning. I’m guessing they say in the morning due to having energy boosting B vitamins in it. You can drink the tablespoon as is, or you can mix it into your drink of choice. Now, this may not be the best prenatal vitamin if you travel a lot, gummies or pills are much easier to throw in a suitcase than a jug of prenatal vitamins. This liquid is pretty thick, and has a rust color to it. This liquid tastes good at first, but a very strong metallic taste quickly follows. It’s very sweet and fruity, but it definitely has a vitamin taste, and the iron causes the strong metallic taste. For those of you who experience morning sickness, it may be best to mix this into your favorite drink. I found it was best when mixed in OJ or cranberry juice, although it still had a little bit of a metal aftertaste. I’m really impressed by what ingredients are included in this liquid prenatal. This drink is sugar free, non-gmo, vegetarian, and gluten free. It had Folate in the amount of 800 mcg; this is a very standard amount found in most prenatals. Pink Stork Liquid Prenatal Vitamin is only lacking a few ingredients in my opinion. It has low amounts of Vitamin C, Choline, Calcium, and Iodine. So you’ll need to get more of these vitamins from your diet or additional supplements (always consult with your physician first). It doesn’t have any Vitamin K or Omega-3s. I wasn’t really surprised that it doesn’t include these two. First off, fish oil probably wouldn’t taste the best in liquid form. You can always take an additional Omega-3 pill to get your fish oil/DHA. A lot of prenatal vitamins contain no Vitamin K at all, so I wasn’t exactly shocked that this one is no exception. However, Vitamin K is great for healthy blood clotting and may be important for healthy skull and brain formation in your baby. So don’t forget about Vitamin K! It contained good levels of all the other vitamins I look for in my prenatal vitamins. So overall, I’m very happy with what this liquid does and doesn’t include. Pink Stork Liquid Prenatal Vitamin leaves a very strong metallic taste in my mouth. It’s not very pleasant. This prenatal vitamin sells for $35.00. That’s $1.09 per day, which is okay, especially for a high quality prenatal like this one. Yes, they have a 30 day money back guarantee. You can return your product even if it’s been used, and they’ll pay for the shipping. I’m happy to see such a great guarantee. To buy Pink Stork Liquid Prenatal Vitamin, click here.